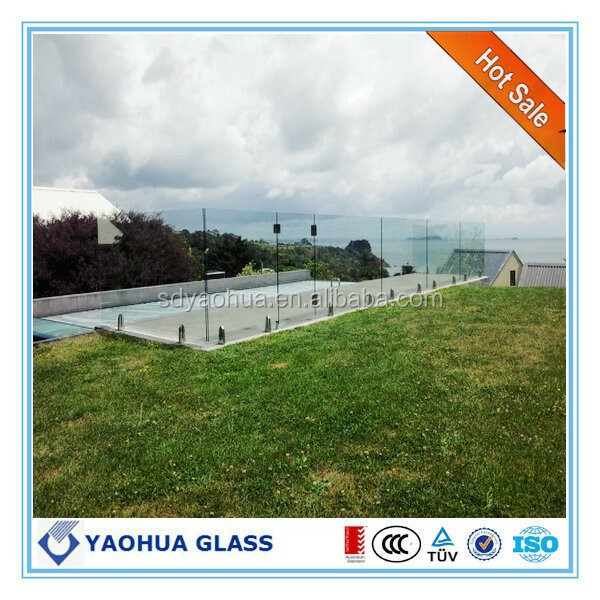 Shandong Yaohua tempered glass is made by heating top grade float glass to its softening temperature and suddenly chilling it with jets of cold air. 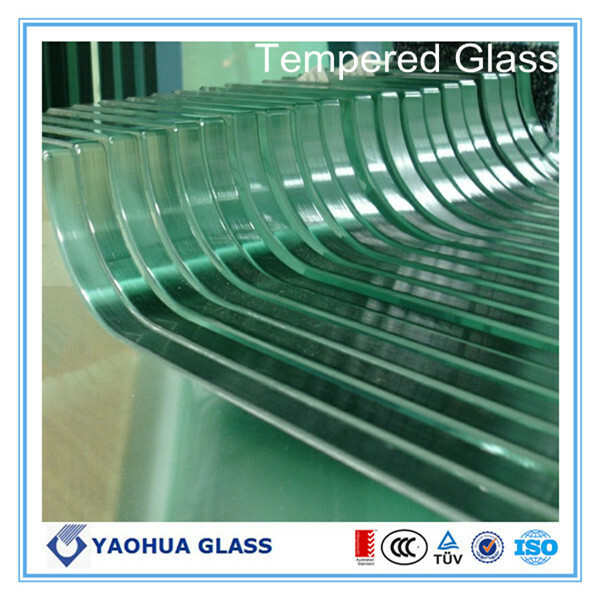 The process of sudden chilling forms pressing stress on glass surface. 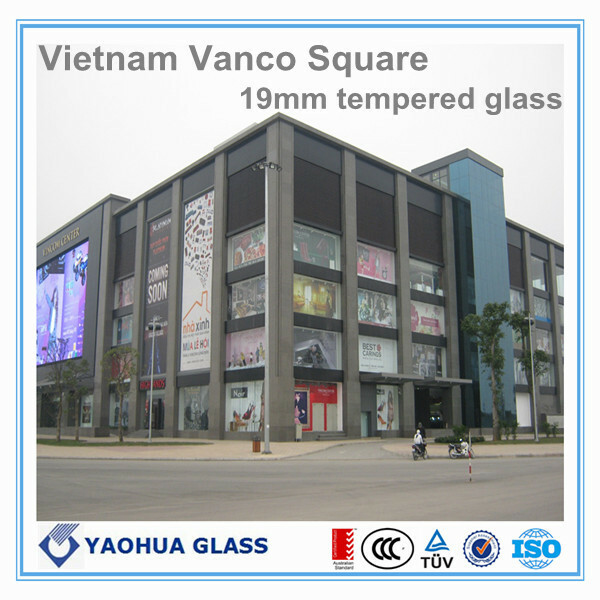 The machinery strength and heat stability of glass are greatly improved. 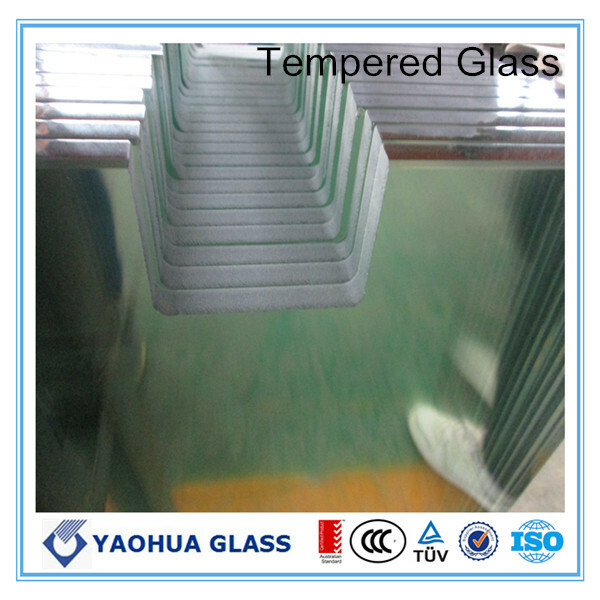 The furnace for tempered glass is advanced Tamglass tempering furnace. 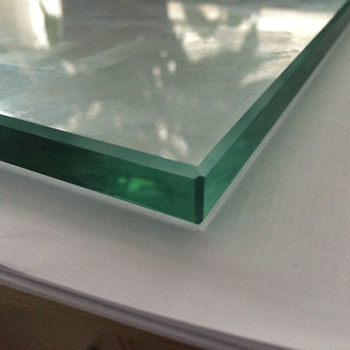 The heat soaked process for tempered glass effectively reduces the rate of self-explosion. 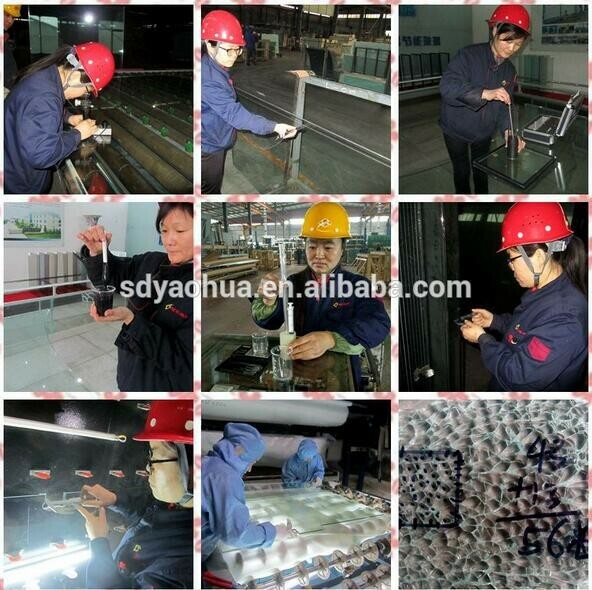 a.We can produce high quality tempered glass by using the best glass sheet, the most advanced equipment, combined with the most professional technology. b.Security. 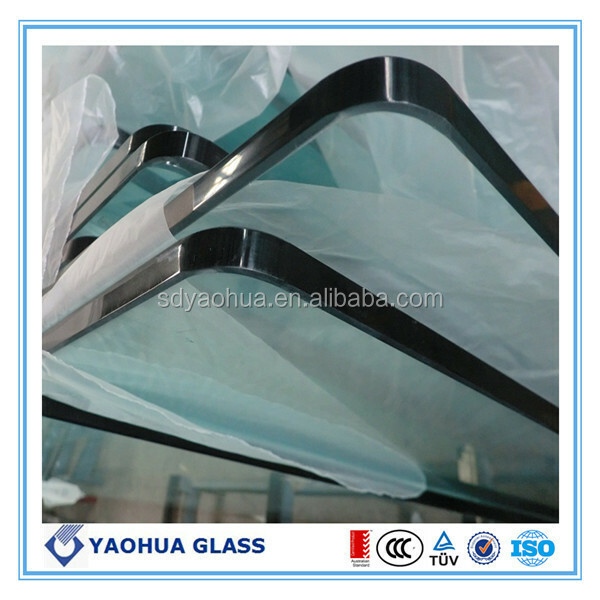 Tempered glass will not hurt people after breaking to pieces. c.High intensity. 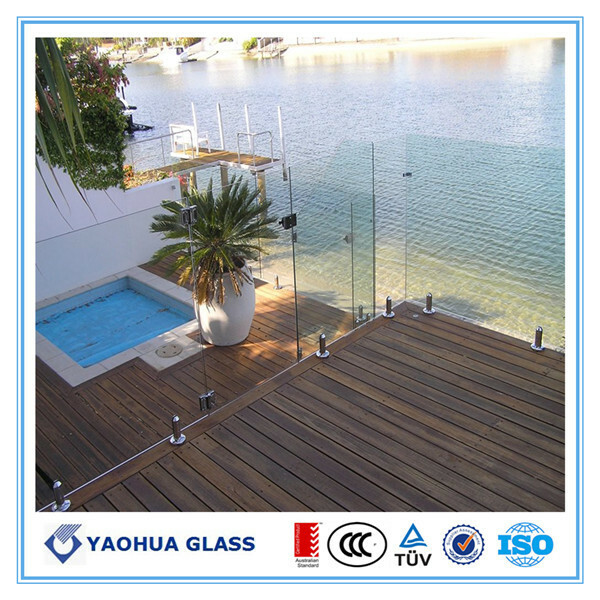 Tempered glass has 4 to 5 times strength than float glass. d.Hot stability. 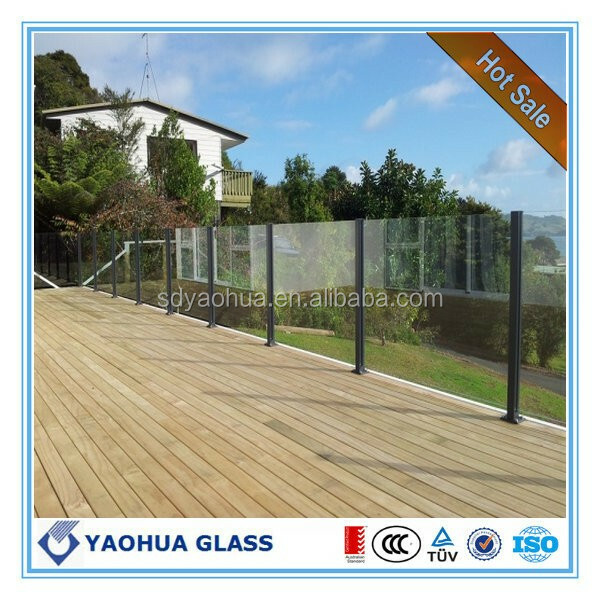 Tempered glass has good hot stability, which can endure 3 times temperature than float glass, also can endure the changing of above 200 hot sale top quality 3-19mm clear ultra clear green grey toughened tempered glass stair panes glass 200 degree centigrade. For packaging: plywood crates with fresh protective paper between glass pieces or as customers requirments. We export glass to over 60 countries. 1).30 years experience on glass, 10years exporting, 800 containers exported one year. 2).Comply with CE, EN, AS/NZS, ASTM, GB standard. 4).Various glass & fast delivery time. 7).Competitive price and top quality. 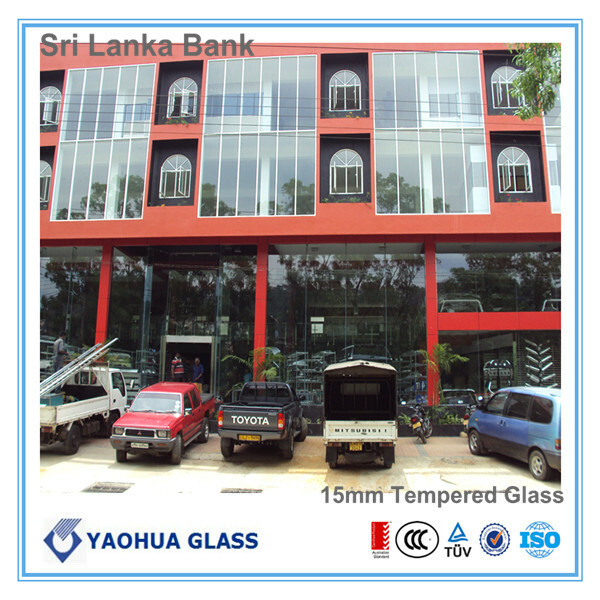 Shandong Yaohua Glass Co., Ltd is a building glass deep-processing manufacturer, which has specialized in tempered glass for 30 years. At present, there are four internaitonal standard automatic cutting production lines, four international standard tempered glass production lines, four international standard insulated glass production lines and two international standard laminated glass production lines. 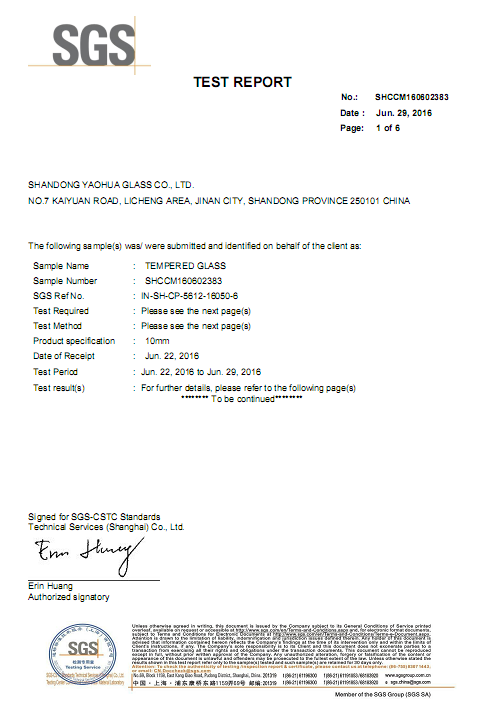 The company also has established a long-term strategic partnership with international and domestic brands, such as Shanghai Yaohua Pilkington Co., Ltd; Xinyi Glass Holdings Limited and Shandong Jinjing Group and so on. 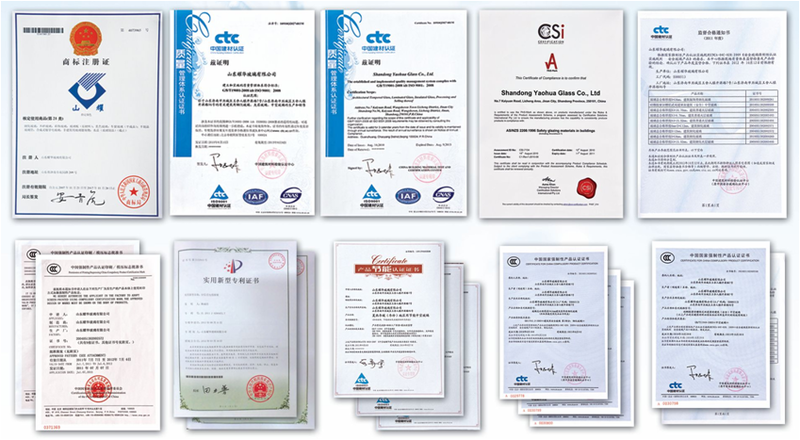 It has becomed the general manufacturing base in Jinan city even in Shandong province. 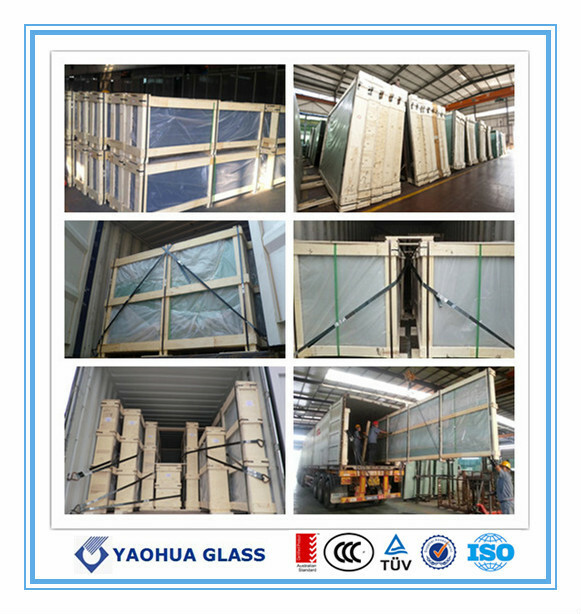 Company culture is "Honesty First, Technique Advanced, Quality Best and Customers Superior", so Yaohua Glass is your right choose.